Born to be a gentle companion, SMOK FIT is the fittest vape starter kit consisted of built-in 250mAh battery and 2ml refillable pod with ultra slim figure, exquisite appearance and all-in-one design. Here comes the small smoke device - SMOK FIT Kit! 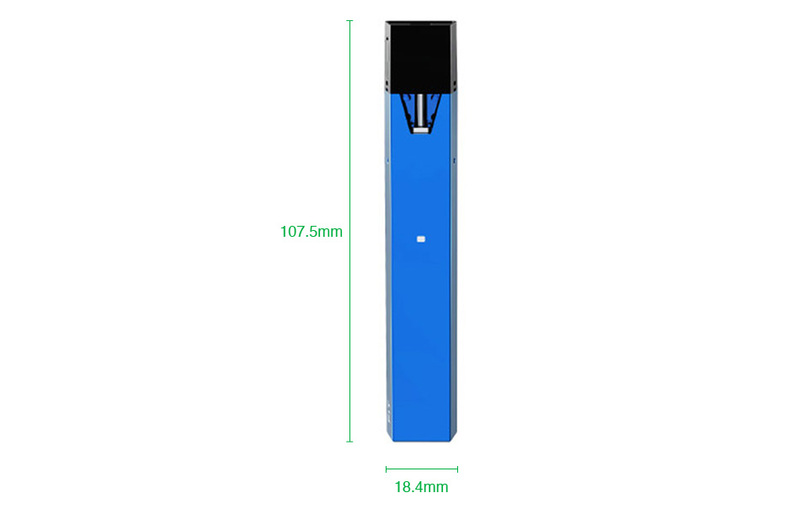 It is the fittest vape starter kit for starters with ultra slim figure, exquisite appearance and all-in-one design which is extremely light and portable. FIT Kit consists of built-in 250mAh battery with easy micro-USB charging port and 2ml refillable pod with visual e-juice window and convenient e-liquid filling design. Moreover, its installation is pretty simple, just inserting the pod into the mod, and you can immediately enjoy your vaping. There is no button switch on the mod, quite easy and convenient, without any complicated operations. Born to be a gentle companion, FIT will satisfy your vaping demands at any moment. Just get it!